2 winners were randomly chosen from the comments section and contacted. As for today's topic-- nails! For most of the summer, I've been using the Mally 24/7 gel manicure system. I've done 5 applications with it- and leave it on for 2 weeks at a time. That amounts to two and a half months of use! Since the first time I used it, I haven't used anything else on my nails. If you look back on my recent videos- you'll notice that I'm always wearing my Mally gel nails! With that much use, I am VERY familiar with how this system works. It stays on with absolutely no chips for the full two weeks, and could be left on longer, but my nails do grow out a bit- and I like to change up the color. In case you've never experienced that, let me tell you, ZERO CHIPPING IS AWESOME. 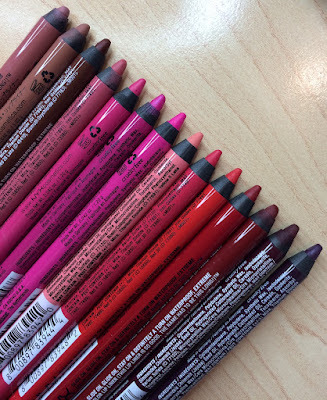 The whole system is not cheap-- $165.00 at mallybeauty.com. The kit comes with everything you might need, and I spend 40 minutes or so (not rushing) going through all the steps. It's actually kind of fun to make an evening of it- pour yourself a tasty beverage, turn on some good TV or YouTube videos, and enjoy! My one complaint- removal by soaking the nails is a pain- so I do this method using foil, which you've probably heard about as well. Found that info on Pinterest (where else!) and it works SO much better. All in all, I'm super thrilled with this kit, and have gotten lots of requests to review it! And I was about to... but then I thought, wait, this is the only gel nail system you've tried! In an effort to take whatever review I do "up a notch"- I decided I'd try a less expensive gel nail kit (one that also uses an LED light) so I could do a comparison for you! 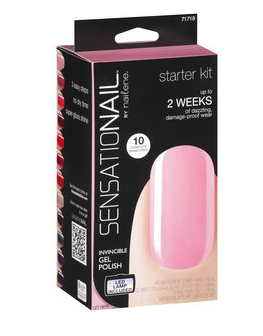 I found the Nailene SensatioNAIL system at Wal-Mart this past weekend for somewhere between $50 and $60. It also comes with an LED light, and all the different steps. It has the same claims as Mally's- 2 weeks of flawless wear. One initial difference- while Mally's comes with 3 color options, this set just comes with one. I'll be applying this kit tonight, and I can't wait to see how the process goes. Then after I feel like I understand how well it works after the 2 week period, I'll do a full comparison review! Just wanted to give you a heads up- since I've been getting tons of questions about reviewing Mally's system. I don't want you to think I'm blowing off those requests-- I just want to bring you the most informative review I can-- so I'm making it a comparison! :) Keep an eye out for it! Cupcake says hi! (I think) - she just hopped up on the couch to sit by me. I'm cooking up a shrimp dish tonight- yums! I have also advised my mom to start watching- we like most of the same shows. 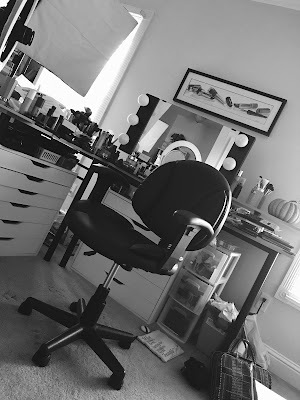 I have so many products to do quick blog reviews on- it's not even funny! I'm excited about it! Can't wait for your review! Naive me, had to look up what gel manicure was. I tried the foil method to remove gel nails and it can be difficult without help. I got the HandsDown soak off gel nail wraps from Sally Beauty Supply (SBS) and they work great! I took a fine grain emery board and lightly buffed the top of each nail to break the "seal" created by the gel top coat. You then soak the pad part of the wrap (not the whole thing) with acetone, wrap it around your finger, wait 5 - 10 minutes and Voila!, off comes the gel. Much more convenient and less cumbersome than the foil, IMO. I use the Gelish polishes and Supernail Progel with sensational lamp Love it! I paint regular polish over my gel manicure when I get bored with the color :) can't wait to hear your review on the Mally kit! Here is a site that's super helpful with soak off gels! My gel nails usually just start peeling off after 2 weeks. I haven't had to use a remover yet. It sounds absolutely incredible. Thank you for posting about this, I really need to look into it! The company I work for right now is developing a LED light for gel nail polishes and have been testing them. I guess I am not too good with applying the gel nail polishes (since we do not have the step by step) but it start peeling, do you have to file your nails prior? I've wanted to try this, but so expensive! Thanks for the review! I always get my gels done at a nail salon. Sometimes I can get them to last the full two weeks and other times not so much. I'm impressed that an at home system has been so consistent! 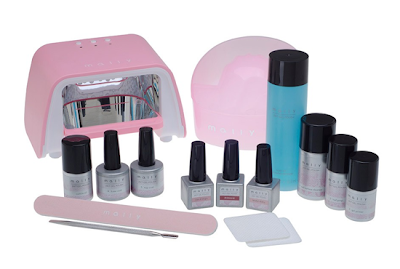 I love the Mally gel nail system and agree with your review of it. I also do the foil method and knew about it from the salon (that is how they take it off). I find it lasts longer than when I had it done at salon (not sure why except the light at the salon is uv). The salon cost where I live is $27 not including tip, so my Mally system has already paid for itself. I also like the fact that I am not exposed to the germs that maybe lying around at the salon. Thanks Emily! Love your blogs and vlogs!!! Say It is a new clothing brand that needs your help in order to produce the upcoming first collection, with minimalistic and geometric designs. Eleonora is an amazing designer and once you see her creations you’ll want to support her! Love your blog and your you tube videos! I'm a new follower and hope you can follow back! Emily, do a video/tutorial too! I have my doubts about this gel nail kits, especially because of the removal - I've heard the method could be a little bit harsh on the nails.. I've heard of the LED lights with nail polish, it is something I'd like to try out! My friend has it done at a salon, and lasts over 2 weeks. You get a really professional look and the finish is amazing! You should really use the nail polish remover caps. They are these great little cups that stick on your fingers and allow to soak your nails with out the use of foil! They are like $4 for 10 on ebay. Just search nail polish remover caps. I'm so excited to hear about this- no chipping sounds awesome! Very excited! I've been wondering about these. I have used the Sensationail system. I just took my gel polish off last night actually. If I didn't have massive growth, I'd have kept it on longer because it still looked so awesome! I have a UV light, so I just get the box with the polish. Only 9.99! I just bought a non uv lamp system at Walgreens by nutrinail. I am trying it tonight! So expensive!But I try this later. Can directly enter your preferred classification. apkoftheday and install. The App name is 'Music Paradise Pro'. Tabs for applications, tasks, faves, and also background. quickshortcutmaker name of the app, it's difficult to locate it. Visitors can report broadcasters if they are streaming iffy web content livelymusically for Live Video Streaming from the iTunes application store. This is an extremely top quality ping pong table automatic ping pong machine every match you'll play on this ping pong table is going to feel. Incredible Article it it’s truly instructive and inventive update us as often as possible with new upgrades. It was truly important. Much obliged. Regards apksfile. get free likes on Facebook and Instagram posts with FB Liker and Insta Liker respectively.